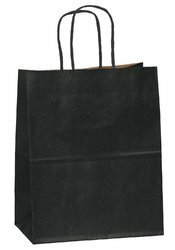 Our product range includes a wide range of heat seal able paper pouches, designer paper bags, brown paper bags, paper bags, paper handbag and printed paper bags. Colors Available Brown, Black, White etc. 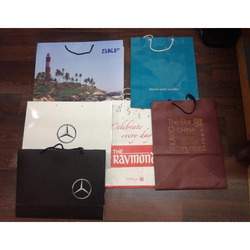 We are the supplier, distributor, wholesaler and exporter of Designer Paper Bags. These bags are specially designed for carrying stuff like delicate articles, cosmetic products, gift items etc. Clients can avail the offered bags from us in various customized designs, colors and sizes as per the client's requisites. 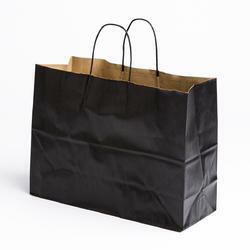 We are offering Brown Paper Bags to our clients. Our products are designed and crafted using the quality paperboard under the supervision of our experienced quality controllers. Available in various shapes and sizes, these bags are ideal for carrying various belongings. These products are altered as per customer needs and thus highly customized. 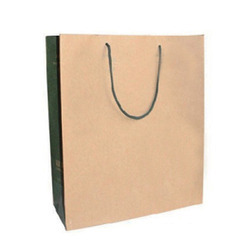 We are an eminent wholesaler, supplier, and exporter of superior quality Paper Bags. The finest quality paper is used by our reputed vendors in the manufacturing process. These bags are offered by us in various colors and prints at market leading prices. Furthermore, we assure timely delivery of consignments at clients’ destination. We are offering Paper Bags to our clients. Available Colors Black, Brown, White etc. We are offering Paper Handbag to our clients. 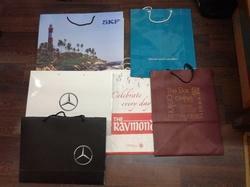 We are offering Printed Paper Bags to our clients.